A cluster of papers by different authors has been retracted for sharing text, even though some papers were submitted at the same time. How is that possible? A spokesperson for Springer told us that they have reason to believe a third-party company may have helped prepare the papers for publication, and in the process might have spread the material around to multiple manuscripts. The details of the cluster are a bit perplexing, so bear with us. Two of the papers — that were published only months apart — have already been retracted, as we reported in April. 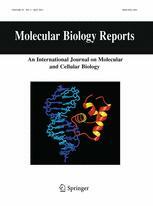 Now, two other papers have been retracted from Molecular Biology Reports — and both notices cite the previously retracted papers. The new notices also say that there’s reason to believe that the peer-review process was compromised. All papers conclude that a certain polymorphism could signal a risk for coronary artery disease among Chinese people. Journals have retracted four papers from an author after uncovering evidence the peer review process had been compromised. Three papers have all common authors. In one notice, issued last month, Annals of Human Genetics said it had reason to believe the paper had been reviewed by unqualified reviewers. 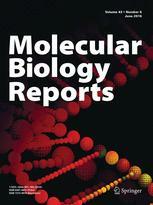 Last year, another journal, Molecular Biology Reports, pulled two papers by the same group — all based at the China Medical University in Shenyang — all for peer-review issues. 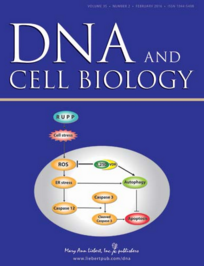 Additionally, Molecular Biology Reports also retracted another paper co-authored by Peng Liu last year, which did not include her other colleagues on the three other papers. All papers describe the epigenetic changes — modifications in expressions of genes — that may underlie cancer.